XMTuner is a media application that provides XM Satellite Radio streams to media servers, set-top media players, game consoles, smart phones and virtually any device capable of playing streaming media. 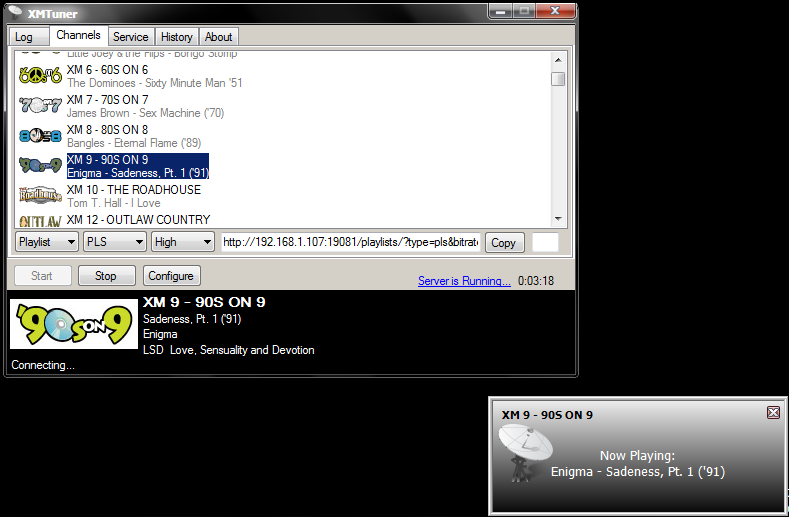 XMTuner also has its own built in player to play XM Radio right from your desktop. Built-in Media Player – New! Recently Played History – New! Integrated Program Guide – New! PLS, ASX and M3U Playlists – New! Unobtrusive notification box keeps you up to date on what’s playing – New!